At HUMMINGBRD Bar and Restaurant the premise is simple; we seek to tell our story through the food we serve. Inspired by Head Chef Nathan Wood culinary career and the history of Upscale modern Australian food. Certain dishes are influenced by memory or provenance of ingredients. We want to share these with you through what you see, smell and taste. The fine dining touch includes tapas, mains, desserts and healthier recipes, from the food and nutrition experts, delivering exquiste food focusing on seasonal local produce and the marrying of unusual flavours to deliver a cuisine designed to excite. 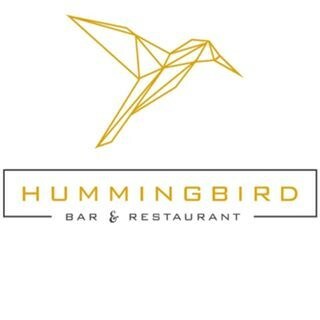 HUMMINGBRD is the destination of choice for Brisbane diners, boasting an evolving food offering and decor, great culture and atmosphere. Lust after the menu and relax in the ambiance, all whilst nestled away in Brisbane’s quiet suburb dining precinct. Restaurant wasn't open after walking there for a special birthday dinner. Couldn't get through on the phone. If you're closing down, maybe stop the online reservations so you don't waste people's time. Booked online and as far as we could see the restaurant was closed. What was the issue? Such wonderful food- we thoroughly enjoyed our meal and highly recommend this restaurant! Thank you for a great evening! Food and service was amazing. Lamb cooked to perfection and I've never quite had Brussel Sprouts like that before - Incredible!